It's been many moons since I tackled one of these. And, now that I think about it, I think the ones I've done have all been Japanese-themed (December 2012, January 2013, February 2013). 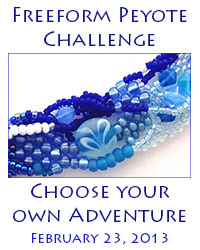 So, I suppose I shouldn't be surprised that this month's Art Bead Scene October Monthly Challenge image spoke to me. This artwork may be protected by copyright. It is posted on the site in accordance with fair use principles. 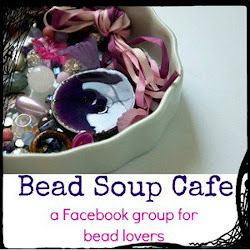 For those of you new to the Art Bead Scene monthly challenge, a picture is posted to their blog around the first of the month and designers - you, me, anyone that likes to make jewelry - makes a piece of jewelry inspired by the picture featuring an art bead. My lampwork focal beads, for example, would be considered art beads. 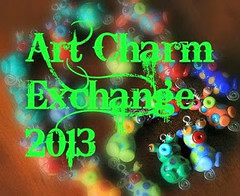 If I've done a poor job explaining, just head over to the Art Bead Scene blog - they explain it really well. 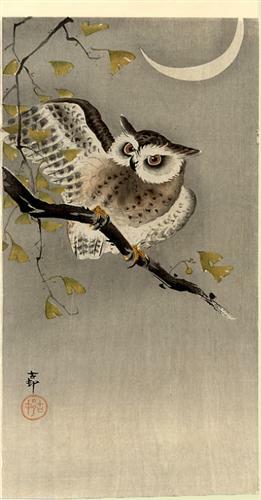 So, I like the lines in this image; I like the colors; Owls are majorly popular right now. What's not to love? I'm thinking branch-like links with soldered, forged ginkgo leaves, and maybe a grey silk ribbon tying in the back .... I'm excited! So, tell me, are you going to give this a shot this month? If you don't happen to make your own art beads, I'll be making some for this challenge tomorrow and I'll probably have a few that will end up in my Etsy shop on Friday or Saturday. I can let you know when if anyone's interested. Even if not for the challenge - OWLS! Tomorrow I'll be listing my October class schedule. This weekend I'll likely resume my series on soldering so that I can post the tutorial everyone is waiting for. So, stay with me!